Windy. Cloudy skies will become partly cloudy this afternoon. High near 55F. Winds NNE at 25 to 35 mph. Winds could occasionally gust over 40 mph..
We have a surprise for you! 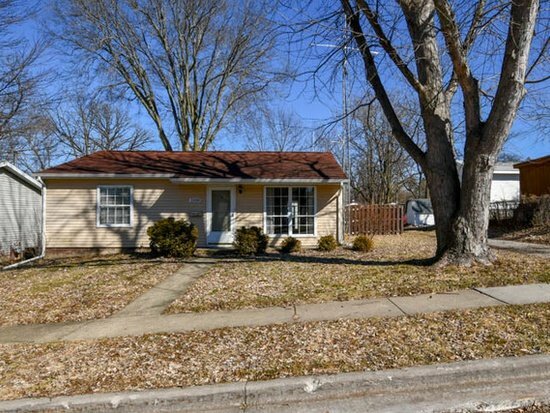 Well planned 3 bedroom, 1 bath home with a nice big main bedroom and family room. Impress your guests in the beautiful kitchen with stainless steel appliances GE Profile refrigerator, Maple cabinets, Cambria granite countertops, island, tile backsplash, under cabinet lighting, and laminate flooring. Fenced back yard, whole house generator, newer insulated/heated oversized two garage. This is a fantastic place to call home. Call us today and learn about a $6,000 down payment assistance program you may qualify for too!